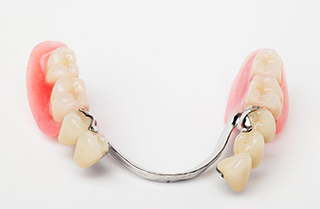 Caring for your dentures is an important aspect of your oral hygiene. After all, if you don't take the time to care for your dentures, it can negatively impact the health of mouth. If you want to learn how to take care of your dentures, here are some simple steps to help you maintain them. Avoid brushing your dentures with toothpaste. Doing so can cause scratches and abrasions on your denture that can cause discomfort, wear of the shiny denture surface, discoloring, and an increased tendency for the denture to pick up stains. Instead use denture cleaner. You can also use a toothbrush with hand soap or mild dishwashing liquid to clean your dentures. Always use products that are approved by the American Dental Association (ADA) Seal of Acceptance. They are recommended because they have been evaluated for safety and effectiveness. Avoid dropping your dentures since that can cause chipping or damage. Handle with care when cleaning and stand over a towel or a sink filled with some water instead. When you are not wearing them, dentures need to be kept moist, which is why you should place them in a denture cleanser soaking solution or in water. Never put them in hot or warm water, which can cause warping and misalignments. Never store your dentures dry. Never, ever wrap your dentures in a paper towel to store them! This is the most common cause of dentures being accidentally thrown away! Generally, it’s recommended to take your dentures out when you sleep. This will allow the gums to rest, reduce the tendency to develop gum irritation and fungal infections associated with dentures, and will relieve the pressure on the gums. If you need such services for adjustment or repairing damaged dentures, you should seek out a professional. Never attempt to conduct such repairs on your own. Do not bend or manipulate the metal braces or attachments yourself, which can weaken or otherwise compromise your dentures or your teeth. Use of over the counter glues or adhesives can often contain harmful chemicals that could cause serious health issues. Instead of trying to repair them yourself, seek out the best dentures Pasadena can offer at Prestige Dental, the office of Dr. Bouzoghlanian and staff. Their helpful staff can assist you in correcting or repairing your dentures and getting them back into the right shape. When your denture doesn’t fit, it can cause irritation, sores and discomfort. Sometimes, it may be necessary to have your denture repaired or realigned in a dental lab. This may often be a good option instead of denture replacement, since it’s usually faster and more cost effective than obtaining a new denture. These services can be used to replace broken, stained, or worn denture teeth, repair chips or damage, or to reline your denture to improve the comfort, stability and retention. The average life of dentures scan range from 5 to 7 years before a replacement or reline is necessary. When you properly maintain and clean your denture, and have your denture checked routinely by your dentist, this timeline can be extended, providing a long life of service. 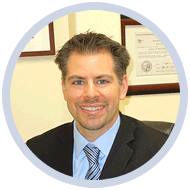 If you have an existing denture that needs service or want to find the best dentures Pasadena has to offer, seek out Prestige Dental, the office of Dr. Bouzoghlanian and staff. Staffed with helpful and patient professionals, we can restore your smile and improve your oral hygiene today!